Cabin Bed with posts. Fancy style ends with square shaped steps and wider side cut out for more comfortable sitting! Crystal knobs add the final twinkly touch! Made to take a 3' mattress (not included). Can also be made to take a 2'6" mattress. 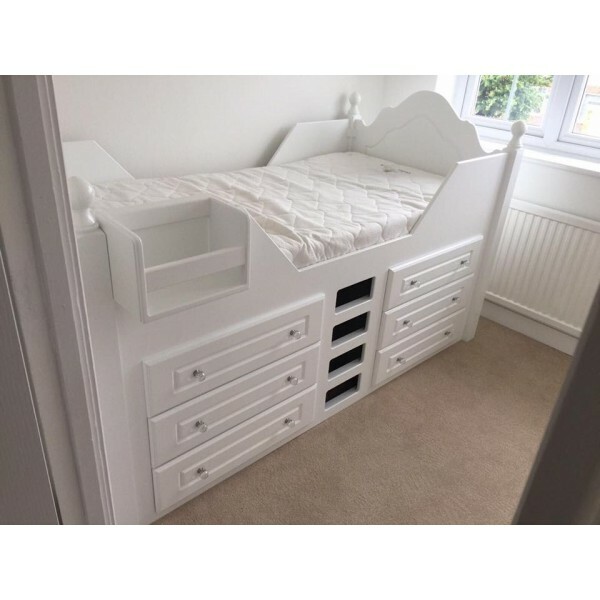 This cabin bed has been made with 2 extra drawers - this gives plenty of storage space under the bed! It is taller than usual - suitable for children 5 plus - depending on their age and ability!